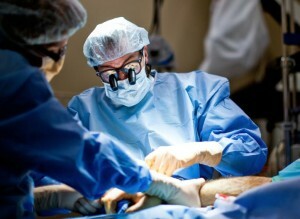 Until recently, most people who required minor hand surgery faced a “traditional” surgery experience: sedation or general anesthesia; no eating or drinking beforehand; pre-op tests such as blood work and EKGs; painful recovery from incisions and the use of a tourniquet; and hours in the hospital or surgery center before, during and after surgery. Fortunately, for many patients, the above scenario is no longer the case, as traditional surgery is making room for the WALANT – wide awake, local anesthesia, no tourniquet – procedure. WALANT allows a surgeon to perform the operation while the patient is awake. 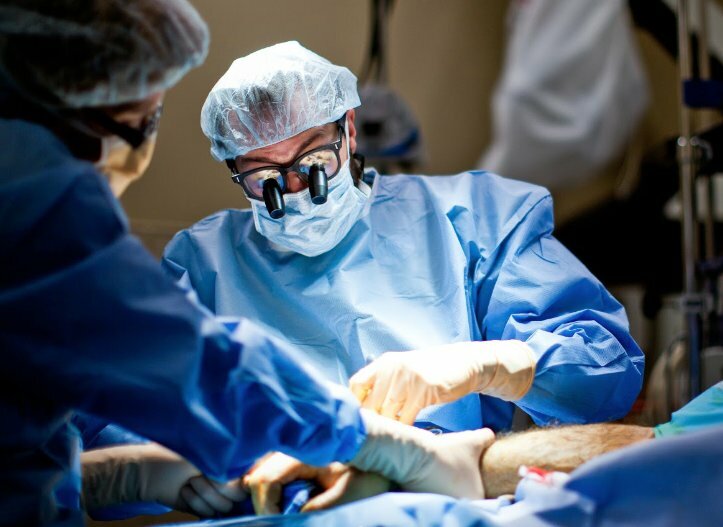 The surgeon uses a combination of medications – lidocaine and epinephrine – injected locally at the surgical site to numb the site and decrease blood flow to the area. After the procedure, the patient is able to go home immediately after. The combination of medications means a there is no need for a tourniquet to be placed above the surgical site or sedation to counteract the pain caused by the tourniquet. Traditionally, tourniquets were used to restrict blood flow. Now, epinephrine, which is used to decrease or stop blood flow, is injected into the area. Orthopaedic surgeons Mark Mellinger, M.D., and John “Bull” Durham, M.D., perform minor hand surgeries using WALANT techniques and protocols. Both physicians are part of Northern Arizona Orthopaedics – with locations in Prescott Valley, Sedona, the Village of Oak Creek, Flagstaff and Page – and both specialize in treating people who have hand and upper-extremity conditions. No anesthesia: Surgery is performed without sedation or general anesthesia; therefore, the risks and side effects associated with “medically induced relaxation or sleep” are eliminated. And, patients do not experience the side effects that come with anesthesia such as grogginess, nausea or vomiting. No anesthesiologist: Anesthesiologists are doctors and like with any service, they charge for their time. Not needing this service equates to a procedure with significantly lower costs and time. No overnight fasting: Since patients are not “put under,” they are able to eat the day of surgery. This is especially important for those who have diabetes and other health conditions. No pre-surgery tests: Before having surgery that requires anesthesia, most patients must undergo a series of tests. These tests are necessary to rule out health-related complications that could occur when sedation or general anesthesia is required. Since there is no need for sedation, there is no need for pre-op tests. Fewer tests saves time and money. No IV: Unless a patient needs antibiotics before surgery or they are extremely dehydrated, there is no need for an IV. No tourniquet: Tourniquets can cause temporary or permanent nerve, muscle and skin injury. Patients often report more residual pain from the tourniquet than from the surgery. No tourniquet equals less pain. NOTE: Dr. Durham is transitioning into retiring from NAO. Dr. Mellinger at Northern Arizona Orthopaedics’ Hand Center continues to provide this convenient and less-costly type of surgical method.